New title for Summer 2019! Our newest folded map focuses on the northern half of The Golden State. 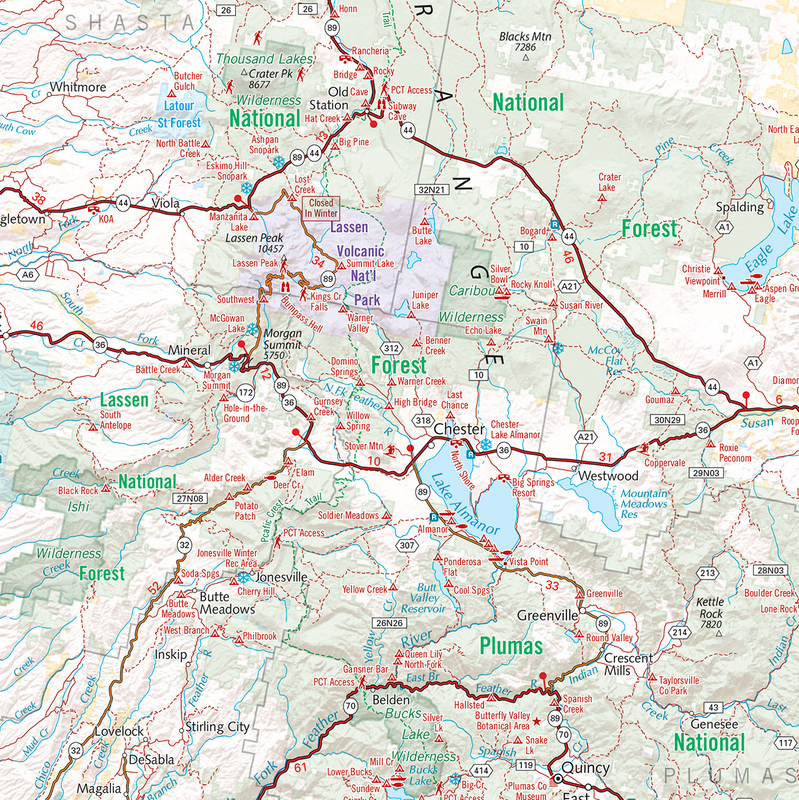 The map side features Public & Tribal Lands, extensive highway detail, point-to-point mileages, recreation attractions, campgrounds, parks and wildlife areas, fishing access points, and more. The reverse side features categorized POI listings with helpful descriptions, current contact information, and map grid references. ISBN: 978-0-7834-9923-9 Cover:4.25" x 9" Sheet: 27" x 38.25"